Beer is a hot commodity these days, and thankfully, Michiganders don’t have to travel very far to drink some amazing craft brews. With big-name breweries like Bell’s in Kalamazoo, Founders in Grand Rapids, and smaller-scale breweries like Atwater in Detroit, Michigan is becoming a destination for beer lovers. Bell’s alone has moved up in the rankings as one of the nation’s top breweries by the Brewer’s Association. Not to brag, but we’ve got a good thing goin’ in the mitten state! Metro Detroit alone has its fair share of breweries and beer-savvy bars. Spots that are well-known for their Michigan craft beer selection are popping up in Royal Oak, Ann Arbor, and the “D.” While I love a good road trip and brewery tour, it’s nice to know where to go and sip on quality beer just a few miles away. So, if you’re tired of having to trek to a specialty store or brew your own stuff, you are in luck. C&K has thought long and hard about the most tried and true brewpubs around town and wants to share them with you! Cheers! While the name of this restaurant sure sounds a little creepy, you will find yourself immediately relaxed once you step inside. One-Eyed Betty’s will make you feel like a kid in a candy store (well, beer store, in this case). This place is known for its whopping selection of 44 rotating craft beers on tap. In the mood for an IPA? Betty’s has ’em! More of a Belgian beer lover? You’re in luck. Need a little help deciding? Their waitstaff is great at offering only the most honest advice in selecting a suitable beer for you. If you’re also craving some food, their pretzel appetizer always hits the spot. They also have an extensive menu of sandwiches, salads, burgers, and filling entrees. If you’re not too full on beer, their donuts are supposedly out of this world! HopCat is a Michigan-based chain with a stellar reputation. With its recent opening in Midtown, HopCat is one of the coolest places around for a round (or two or three) of beers. If you’re choosy about your craft beer, you’re in luck — HopCat has 130 taps filled with cold beer and cider. You won’t want to leave without ordering some crack fries (I hear “loaded” is the way to go), but they also have plenty of other food options if you’re craving a solid meal. With their endless beverage options, musical entertainment galore in their Huma Room and plenty of indoor and outdoor seating, you may turn into a regular quicker than you think! Also, be sure to check out their Happy Hour dates and specials listed on their website. This place may look like nothing special, but their beer selection (130 craft beers from all over the world) and drink discounts all week long are something to treasure. You’ll always be able to find a Michigan beer on tap from award-winning breweries like Short’s, Bell’s, and even Frankenmuth. With daily specials and unbeatable prices, this is a casual “Happy Hour” or Friday night drinking destination. Their food is nothing to write home about, but they offer the typical bar eats like wings and pizza that you suddenly find yourself craving after a few too many. Check out their killer offerings on their website. I will be completely honest with you — I was a bit hesitant to share this one. M-Brew is one of those hidden little gems that I greedily wanted to keep to myself. But, I decided to be generous to my dedicated readers and give you the inside scoop on this wonderful little place. While sipping on one or more of their 30 Michigan craft beers on tap, you can play old-school arcade games like Pac-Man and Donkey Kong in their “Basement Brewcade.” It’s pretty awesome, if you ask me. I haven’t sampled their food just yet, but their pizza and pasties have a good reputation from what I hear. Proud n’ nerdy beer-loving guys and girls, this is the perfect place for you. Bringing in the crowds since opening day, Ale Mary’s is a popular choice for beer fans roaming the streets of downtown RO. 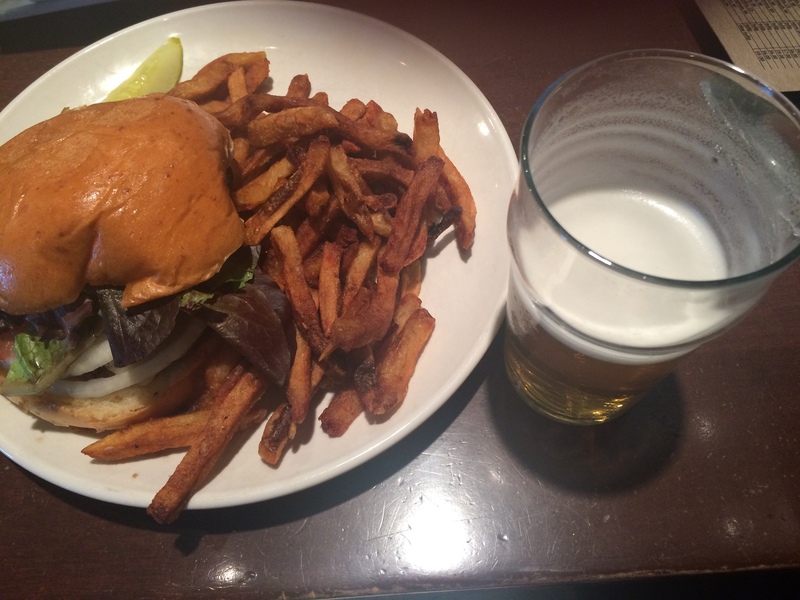 Not only will you love their selection of craft brews, but you’re bound to find something delicious to eat. Their Cheese & Charcuterie Board or Beer Glazed Pork Belly are just a couple of hearty options to start off your Ale Mary’s experience. Whether you dine inside or out, you will love the bustling and warm vibe of one of Royal Oak’s newest and best beer spots. Check out their beer menu before stopping in! Share your favorite beer spot on Facebook, Twitter @coneysandkale, or tag me in a post at coneysandkale on Instagram! I’ll put it on my next beer-related post! Thirsty already and it’s just 7am! Well, it’s 5 o’clock somewhere!